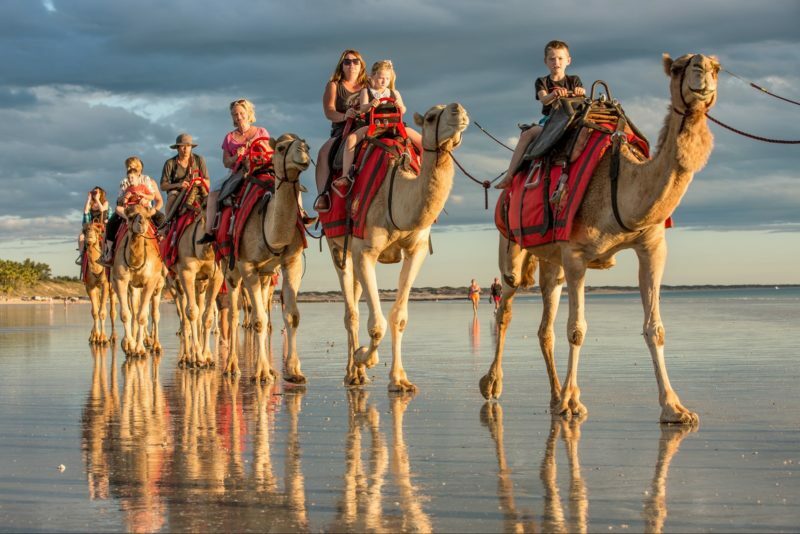 Based in Western Australia, Broome and The Kimberley Holidays are experts in creating the perfect Western Australian holiday. Their product knowledge is second to none; they provide a dedicated Western Australian holiday brochure which includes a comprehensive range of accommodation options from standard motels to luxury boutique hotels and wilderness lodges, tour options ranging from local day tours to extended four wheel drive adventures, self-drive itineraries for those wishing to travel at their own pace, luxury wilderness cruises and rail expeditions, car hire including campervans and four wheel drive vehicles. They also provide a fantastic range of value added packages and regular special offers are released throughout the year. They are very proud to represent all regions of Western Australia including Broome and the Kimberley, the Pilbara Region and Karijini National Park, Exmouth and the Ningaloo Reef, Margaret River Wine Region and Australia’s Golden Outback. Whether you’re looking for a relaxing break on stunning Cable Beach, exploring the pristine coastline of Western Australia, a four wheel drive adventure through rugged island gorges, swimming with the whale sharks, sampling world-class wines from the South West or exploring the historical Golden Outback, look no further than Broome and The Kimberley Holidays. Arrive in Broome and check into your accommodation. Day Two get ready for a full day adventure with Australian Pinnacle Tours which begins with a scenic flight over the pristine aqua blue waters of the stunning Buccaneer Archipelago islands and Horizontal Waterfalls, then land at Cape Leveque for lunch, swim and then return in comfort aboard a luxury four wheel drive (4WD) vehicle via Lombadina Aboriginal Community. Day Three join a Broome in depth tour and visit some of Broome’s most interesting and beautiful icons further enhanced by an onboard multi-media show revealing amazing insights into Broome’s history and pearling industry. Day Four explore the spectacular environment of Turtle Bay from your kayak with Broome Adventure Company. You may well spot a turtle whilst paddling through turquoise waters and past amazing rock formations on a unique adventure. Day Five prior to leaving Broome behind take one last stroll along Cable Beach and bid farewell. Arrive in Kununurra and settle into your accommodation. Start your visit with a Sunset Cruise on the Ord River with a delicious barbecue dinner included. Day Two join Triple J Tours on their Lake Argyle/Ord River Combo tour. You will be taken by bus to Lake Argyle where you will cruise the waters of the lake, before venturing down the Ord River, returning to Kununurra as the sun sets. Day Three visit the World Heritage listed Bungle Bungle National Park. Your full day tour with Slingair starts with a scenic flight over Lake Kununurra and Lake Argyle before you land at the Bungles for a four wheel drive (4WD)/walking tour along Piccaninny Creek to Cathedral Gorge, including lunch in the heart of the gorge. The flight back to Kununurra will encompass an orbit of the Argyle Diamond Mine. Day Four visit El Questro Wilderness Park, one of the Kimberley’s most famous destinations and your full day tour from Kununurra covers the highlights of the Park – Emma Gorge, Zebedee Springs and the Chamberlain River. Day Five you’ll be reluctantly packing your bags and leaving the magnificent East Kimberley scenery behind you. 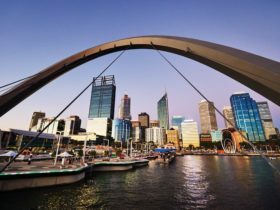 Depart Perth and head for Mandurah, visit the foreshore or cruise through the canals. After lunch head to Bunbury and visit the Dolphin Discovery Centre. Overnight: Best Western The Clifton. Day Two continue south to Busselton; visit the local jetty before heading on to Dunsborough and then Yallingup. Overnight: Seashells Resort Yallingup. Day Three explore the Margaret River Wine Region; visit wineries for tasting then a chocolate factory before enjoying a cleansing ale at a brewery. Overnight: Seashells Resort Yallingup. Day Four head to picturesque Nannup stopping for lunch at the Blackwood River, continue through the forest to Pemberton and turn into Karri Valley Resort. Take an afternoon walk to Beedelup Falls. Overnight: Karri Valley Resort. Day Five head into Pemberton to visit one of the famous timber towns of the south west before continuing south to Northcliffe passing through native forest. From Northcliffe head to Walpole, home of the treetops walk. The picturesque town of Denmark is your next stop before arriving in Albany. Overnight: All Seasons Albany. Day Six explore Albany as you wander through its convict past. The rugged coastline provides a fantastic scenic drive before you reluctantly head back to Perth. Depart Perth and head south to Mandurah, passing through this coastal holiday location and continue to Bunbury, a good spot for lunch before arriving into Busselton the start of the Margaret River Wine region. After checking into your chosen hotel, spend the afternoon exploring the wineries or the magnificent beaches around Margaret River and Yallingup. For dinner there are a great range of fantastic restaurants. Day Two spend the day exploring this inspiring region, arm yourself with a wineries map and off you go. After visiting some of the wineries don’t forget also local chocolate and cheese factories then of course the breweries to give you a further taste sensation. 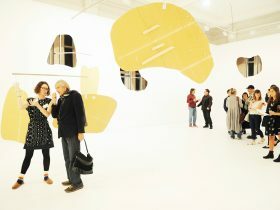 On a more cerebral basis there are numerous galleries. Day Three, your last day, you may not have covered your entire wish list yet but you still have this morning to continue your adventure before heading back to Perth. On your return take the South West highway to visit some of the other towns in the South West. 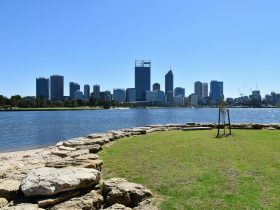 On arrival back into Perth drop your car at the airport for your flight home or stay in one of the hotels in Perth before continuing your adventure. From Perth head north to the historic towns of Dongara and Port Denison, continue to Greenough Hamlet and Geraldton. 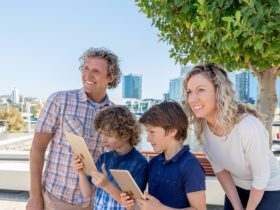 Sample some of the freshest seafood in Western Australia and visit the HMAS Sydney II Memorial. Overnight: Best Western Hospitality Inn Geraldton. Day Two head to the Shark Bay World Heritage Area. Visit Eagle Bluff, Hamelin Pool stromatolites and Shell Beach before ending your day relaxing at Monkey Mia. Overnight: Monkey Mia Dolphin Resort. Day Three explore the Shark Bay Region. Fish off the jetty in Denham, visit Shark Bay World Heritage Discovery Centre, or explore Dirk Hartog Island in the Shark Bay Marine Park. Overnight: Monkey Mia Dolphin Resort. Day Four encounter the famous Monkey Mia dolphins. Later, continue south to the popular coastal town of Kalbarri, located at the mouth of the Murchison River. Overnight: Kalbarri Best Western Palms Resort. Day Five explore Kalbarri National Park by hiking, canoeing, abseiling, quad biking or enjoying the spectacular views from key lookout points. Overnight: Kalbarri Best Western Palms Resort. Day Six depart Kalbarri this morning and head south to Cervantes. Enjoy the splendour of the Pinnacles, in the Nambung National Park. Continue South to Perth arriving late afternoon. Arrive in Broome and settle into your accommodation. This afternoon enjoy a scenic and historic tour of the Broome coastline on a Sunset Hovercraft Flight followed by complimentary hors d’oeuvres at a secluded location on the tidal flats whilst enjoying the sunset. Day Two join the Willie Creek Pearl Farm tour to gain a fascinating insight into the world of cultured pearling. This afternoon explore Broome at your leisure. Visit Cable Beach Club Resort and treat yourself to a cocktail at the Sunset Bar. Day Three take to the air on a Buccaneer Explorer Flight and experience the majestic beauty of thousands of islands, the Horizontal Waterfalls and Cape Leveque, a tranquil paradise where you will have time to swim in the temperate turquoise waters. Day Four be whisked back in time to an era when men put on their helmets and boots to walk the ocean floor in search of pearl shell, on a visit to Pearl Luggers. Day Five farewell Broome with a final walk along Cable Beach, or a visit to Chinatown.